Reading: We worked on the letter Nn and the sight words "me" and "to". We continue to work on beginning sounds and rhyming words as both have showed to be a struggle for the class. Writing: We continue to work on stretching out the words we want to write and creating a detailed picture that matches those words to help us tell a story. Math: We started Module 3 this week. We are working with number trains (similar to a number line). We have spent a couple days this week learning what it means when I ask what number comes JUST BEFORE and what number comes JUST AFTER. This has been a struggle and we will continue to work on it next week. Science: We didn't have a designated science theme this week as we were focused on our PALS assessment. I will have the scores from your child's assessment to you sometime in the next few weeks. 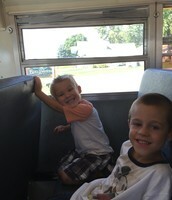 Paxton and Gabe G loving our bus ride last month. Meet our new class pet, Mini. 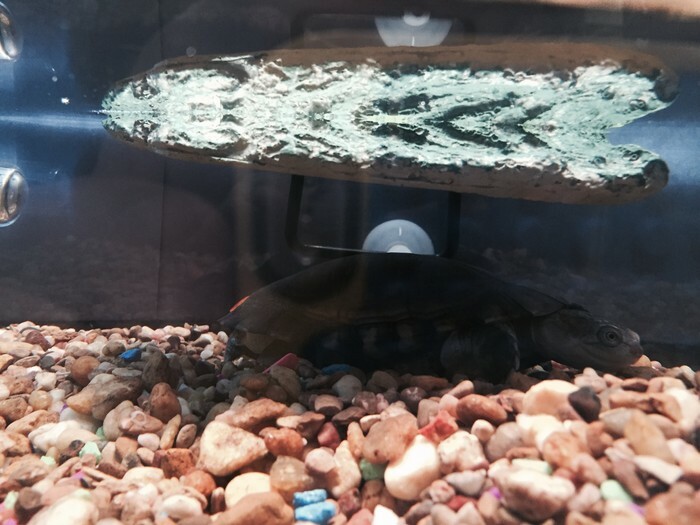 She (or he, we aren't sure) is an African Sideneck Turtle! 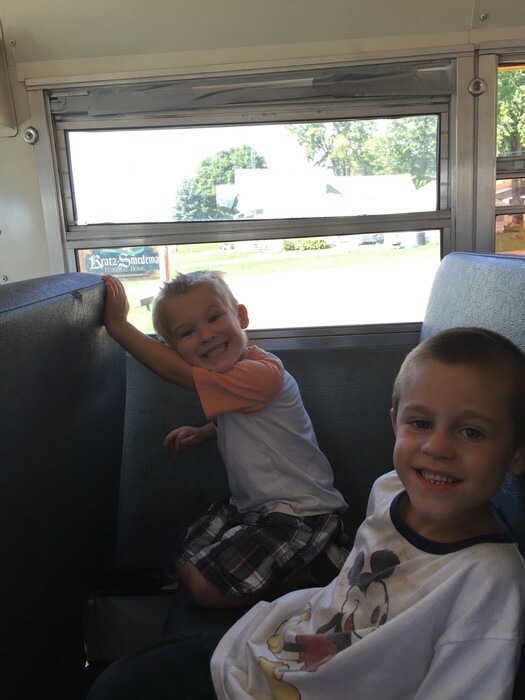 We LOVE the Bus too! 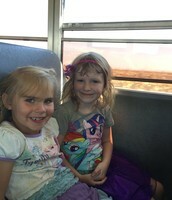 Alexis and Karlee love bus rides too. We will continue working on letters and letter sounds. Our focus will be on the letter Cc and the sight words "am" and "go". We will continue to sound out words to add to our writing. My goal is to get beginning sounds and rhyming down so we can move ahead with stretching words and counting syllables. Don't forget to keep reading your book bag books and practicing your letters and letter sounds!! Your Book-It reading Calendar can stay in your book bag so you never lose it! Next week we will be doing a lot of things with pumpkins. We will be learning about their life cycle, the different parts and doing a pumpkin investigation with our very own pumpkins. On Friday you child will be coming home with a pumpkin that we cut open and did some investigating on. If you would rather your child not bring home this pumpkin, please let me know! 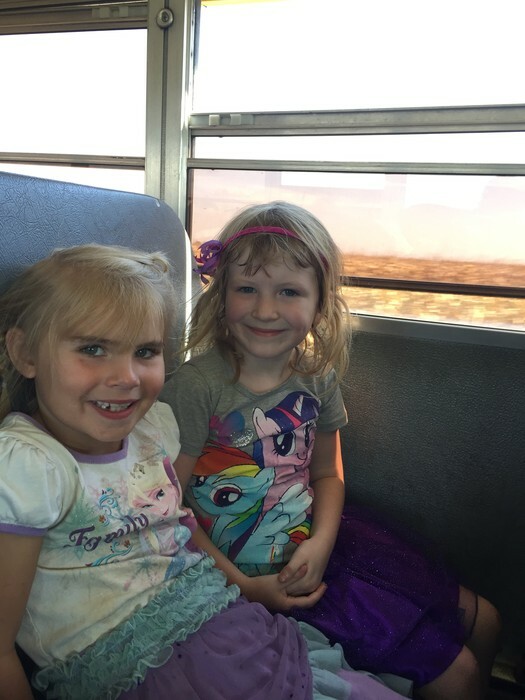 Check out our class website!! Looking for a new way to practice letters, letter sounds, or sight words? 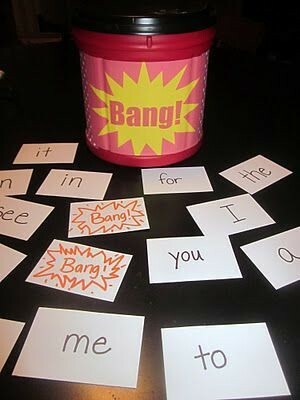 Use your sight word cards from your reading bag and create a couple 'BANG' cards. Put them in an old coffee can or paper bag and play the game "BANG". The way it works, players take turns picking a card and saying the word (or letter, if you are working on letters or sounds). If they say the word correctly, they keep the card, if the word is said incorrectly, the card goes back in. If a "Bang" card is drawn, that person must put all their cards back in the container and the game keeps going.